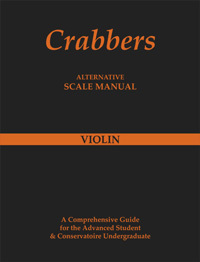 There are a number of questions that need to be answered regarding the level of violin tuition and when most effectively to introduce the Crabbers Scale Manual in conjunction with other technical work. Is the student experiencing difficulties with motivation and memory fatigue? Should scales be a basic requirement with all violin tuition? Will the violin teacher have confidence during violin lessons to use the scale manual with their student? lesson or students who find the preparation of scales challenging. Scale are a requirement with examination boards, so it is essential that scales be covered during violin lessons on a regular basis. 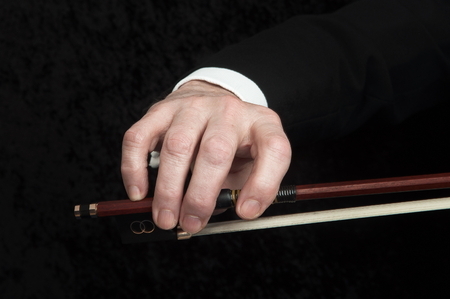 Practising one key per day (twenty minutes) is the quickest way to warming up before taking violin classes. This will enable most of the disciplines within each key to be assimilated and the teacher better able to convey the simplicity and effectiveness of the system. At what standard should the student begin using the scale book in their violin lessons? Single note scales are three octaves and the double stop scales are two octaves. This is repeated throughout each key of the scale manual. There are three octave scales with the grade five Associated Board and Trinity exams, so the scale manual can be started at this entry level. However, the more advanced violin lessons become, the more effective the scale manuals will be. The system's style and content can then be experienced and appreciated. The student will soon realise that scales are not that difficult, and will take the trouble to learn more advanced scales sooner as they appear easier! Students grade six and above, and undergraduate conservatoire students who find playing scales challenging, will find the alternative method easier, especially with scales in thirds and sixths. This will be due to the page or format looking different and thereby easier to read. Will using this method inhibit the standard way of practising scales i.e notes on stave lines? As the student will have been learning for a number of years with standard notation, there should be no concerns. This new method of learning will improve over-all playing facility. Please see the courses and events page for details.